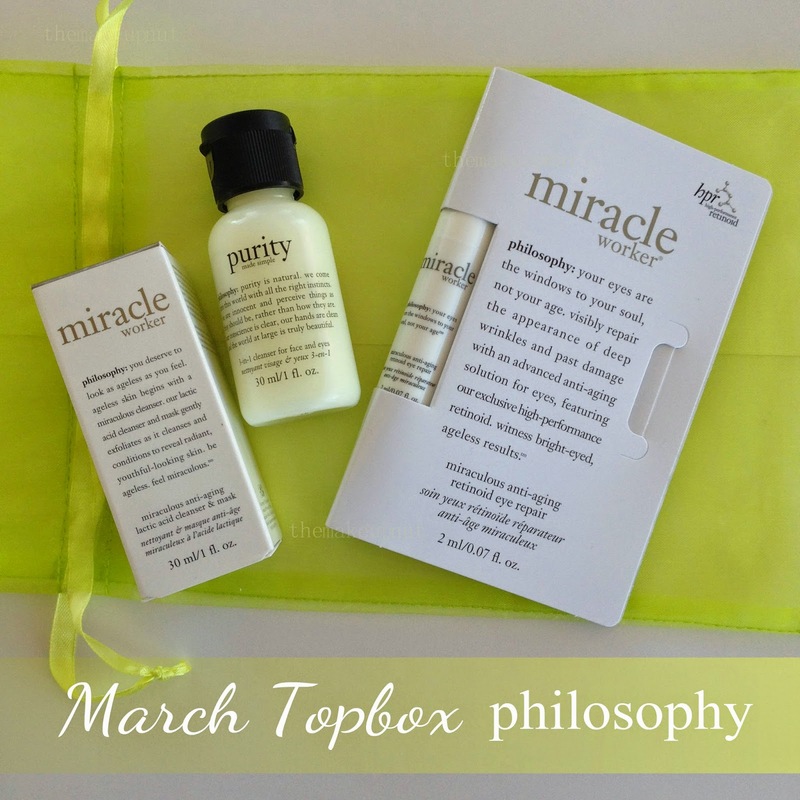 I opted in for the philosophy Topbox this month because I saw the retinoid eye repair was part of the package. I had tried it before in a previous philosophy Topbox and fell in love. So picking out my March Topbox was an easy choice for me. Even though I cannot fathom spending $68 on an eye cream, I may be creeping towards that purchase soon. My eyes really need some help. Lately I have been looking sooo tired...well in all honesty, I am always tired but I certainly do not need to look it right? I love love this eye cream. I have sensitive skin in my under eye area. 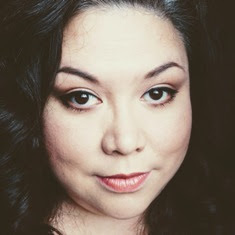 Most eye creams make my eyes Hulk out and get all Huge, Red and just plain old Angry. So to find one that works and doesn’t kill me, I am a fan! I use it mostly at night but on those ‘tired’ mornings I will dab a teeny bit on to reduce some puffiness. It works fabulously! I have heard so many people talk about this cleanser but I have never gotten around to trying it. Cleansers are not something I drift towards when I am in Sephora. It’s all makeup on the brain when I am in there. makeup, Makeup MAKEUP!!! So I am glad to get the chance to try this one out. I really hope it can get the eye makeup off too. That would be an awesome bonus. Sephora has quite a few selection sizes for this cleanser so you don’t have to spend a fortune just to try it. I love that Topbox brought a different version of the philosophy Topbox back. Like I said before, it was an easy selection for me. 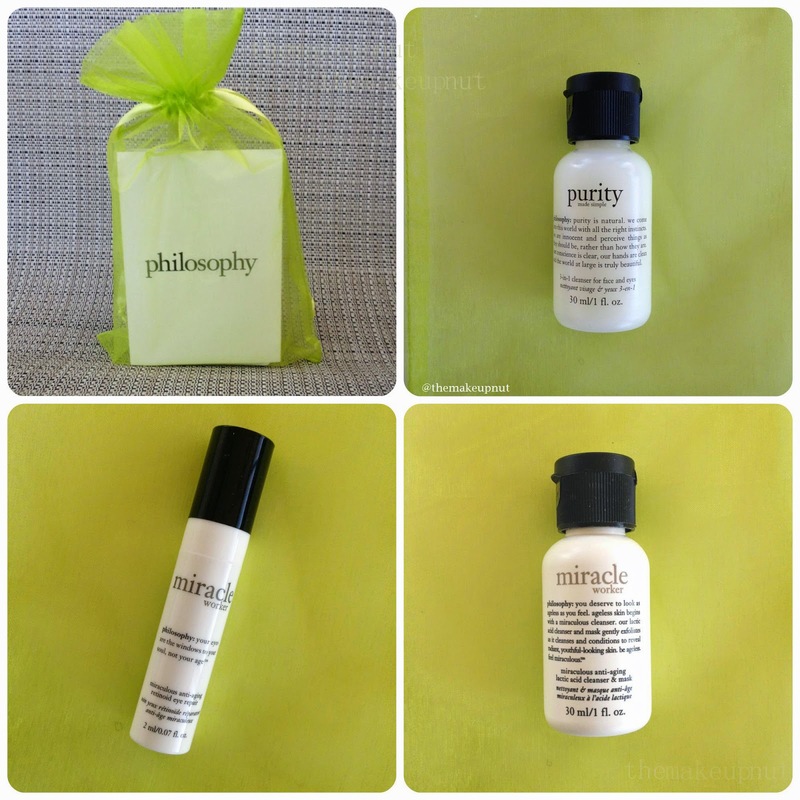 I like being able to explore the philosophy line before buying the full sized products. How did you like your Topbox this month? I can’t wait to make my April selection!